Winner of a special merit award at perspective awards 2010, Category product design. 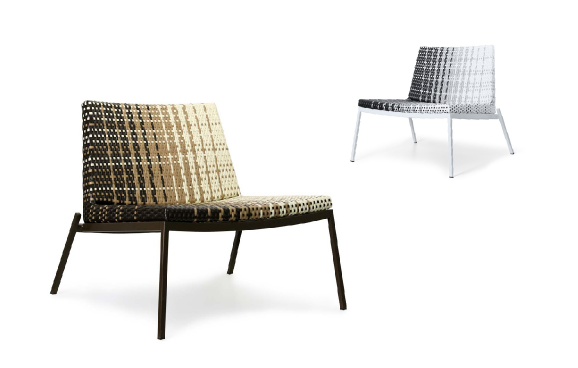 The Gradient Collection is a set of all-weather wicker chairs that is a contemporary interpretation of traditional wickerwork. The collection is a showcase of the unique quality of the age-old craft of wicker weaving through a visually stunning hand woven pattern. The Gradient Collection transforms the craft of weaving by discovering new possibilities in hand woven designs. Traditionally, wicker craftsmen are seen as mere manufacturers of a functional object, but this collection places the spotlight on the craftsmen by emphasizing the beauty of a weave of exceptional quality. 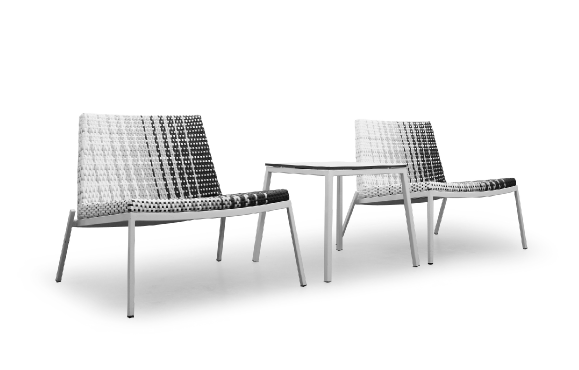 The wicker weave is the main focus of the collection and the chairs are designed as a vehicle to optimally display the weave. The gradation of color in the weave transforms the traditional material into a modern and sophisticated product, bringing relevancy to wickerwork in the context of contemporary design. 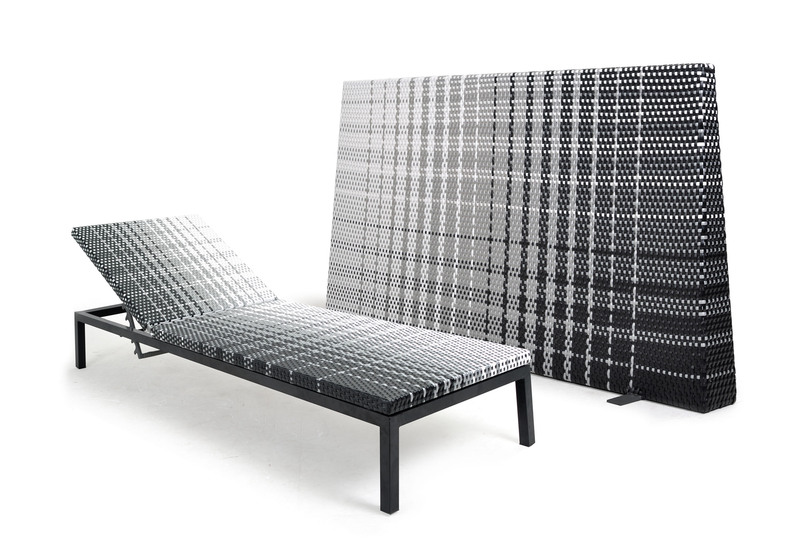 The result is a set of graphic, all-weather furniture that is highly functional, comfortable, as well as being environmentally and socially sound. The visually stunning pattern made by the wicker craftsmen captures the essence of the manufacturing technique and makes apparent the high quality of the labor-intensive work. The design turns the concept of wickerwork on its head, so that wicker is no longer just a humble material for encasing functional furniture but rather, it provides a challenging new dimension for contemporary design. The Gradient Collection hopes to help progress traditional wickerwork skills and to imbue a sense of relevancy to the craft. The contemporary interpretation of the tradition will help to revitalize the wicker industry and provoke a revaluation of the craft and its experts. 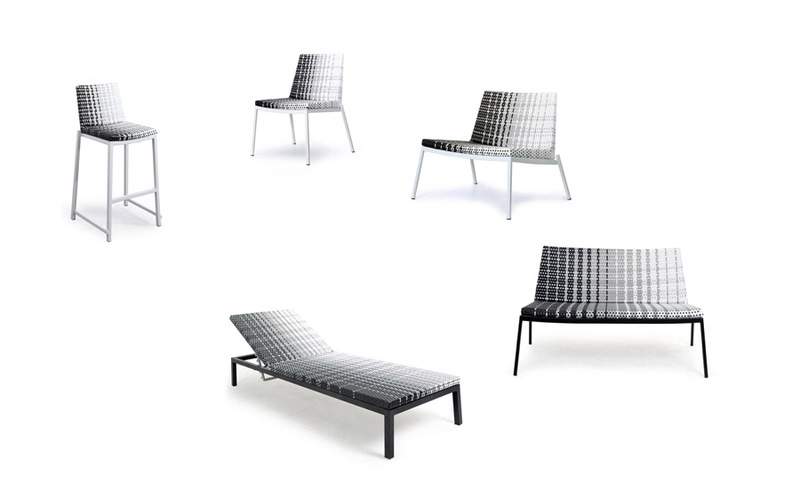 As well, the collection creates new inspiration for interior and exterior designers. Its graphic style creates a bridge for the increasing blend of inside and outside living.